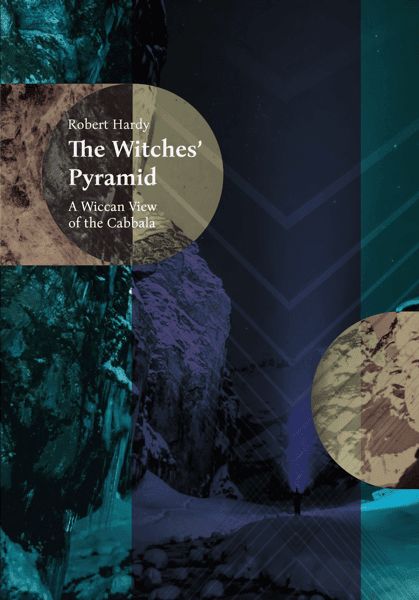 If you are a Wiccan and looking for a good introductory book about the Cabbala, I would recommend The Witches' Pyramid by Robert Hardy. It is a short volume in a very easy-to-read style and succinctly covers the basics of the Cabbala and how it relates to Wicca. I wish I had read it years ago - except that it has only recently been published. My own experience of the Cabbala has been attending a few workshops on the subject, working through Dolores Ashcroft-Nowicki's The Shining Paths and reading Hay House Basics - Qabalah by David Wells. Although Cabbala was certainly discussed in the coven I originally trained in, it wasn't specifically taught while I was there, which I always regretted. Robert Hardy makes the point that it should be an important part of Wiccan training, because it is a framework that underpins so many magical systems, including modern pagan witchcraft as well as tarot, the Golden Dawn and the teachings of Aleister Crowley. 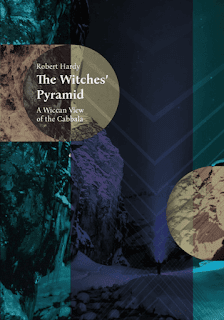 The Witches' Pyramid's subtitle is A Wiccan View of the Cabbala, and it starts by explaining just how the three initiatory degrees of Wicca fit neatly on Cabbalistic Tree of Life. The pyramid in question is formed by the lower triangle of the Tree of Life. It relates to the personal development necessary for at First Degree. Robert gives a succinct overview of all of the 10 Sephiroth - the spheres on the Tree of Life - then gives detailed pathworkings - or guided meditations - for the paths between those spheres on the Witches' Pyramid. These are a little bit similar to those in Dolores Ashcroft-Nowicki's book, but worked much better for me. Witchcraft, the Tarot, and the Cabbala make strange bedfellows, but with a few subtle twists of the knobs, they can make very interesting ones. One of the things I find fascinating about the Tree of Life and its 22 connecting paths is the way you can place your own belief system and symbolism on them, thereby giving them a home. The beauty of doing this means that you can now cross reference your ideas with the Tree’s existing symbolism, both religious and magical. Using the Tree as a pigeon-holing system will highlight the nuggets of gold in the debris of your own ego-driven fantasies. Out of the 22 paths on the Tree of Life I have concentrated on just six, those that make up the lower triangle, plus the lower Sephiroth. The pathworkings and experiences with the Sephiroth given you in this book are mainly of my own invention, built on my earlier explorations when working with inspirational teachers and friends.To support the hermetic style of pathworkings (guided meditations), I have included exercises and magical practices to join the mental plane with that of the physical plane: “As Above, so Below”. I very much hope Robert writes follow-up books with pathworkings for the rest of the Tree of Life. You can view The Witches' Pyramid on publisher Bibliotheca Alexandrina's website. Thank you ,this looks really interesting. Glad you think it looks interesting. Hello from Canada. I recently started to follow I am so glad I have I will look for this book thank you! Hope you like it Debi - and thanks for following my blog!